Lijiang is famous for its UNESCO Heritage Site, the Old Town of Lijiang, which has a history of at least 800 years and may date as far back as the Song Dynasty. Lijiang always offers much to visitors. 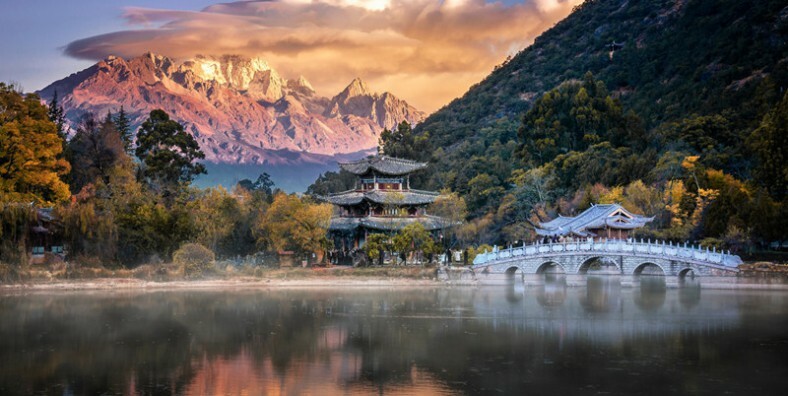 During this tour, we will visit the most famous Lijiang Old Town, Jade Dragon Snow Mountain, Shuhe Old town and Black Dragon Pool and discover the Naxi culture here. Visit the must-see attractions in Lijiang: Jade Dragon Snow Mountain, Shuhe Old town and Black Dragon Pool. Discover the ancient Naxi culture and the culture exchange between Naxi ethnic group and Tibetan. In the morning(08:00), meet your guide & driver at the entrance to Lijiang Old Town (Big Water Wheel) and head to Jade Dragon Snow Mountain. Upon arrival, visit the scenic spots of Ganhaizi Meadow, White Water River and take the cableway to visit the Yak Meadow. In the afternoon, drive back to visit Shuhe Old Town. After the tour, drive back to Lijiang Old Town. Service ends.